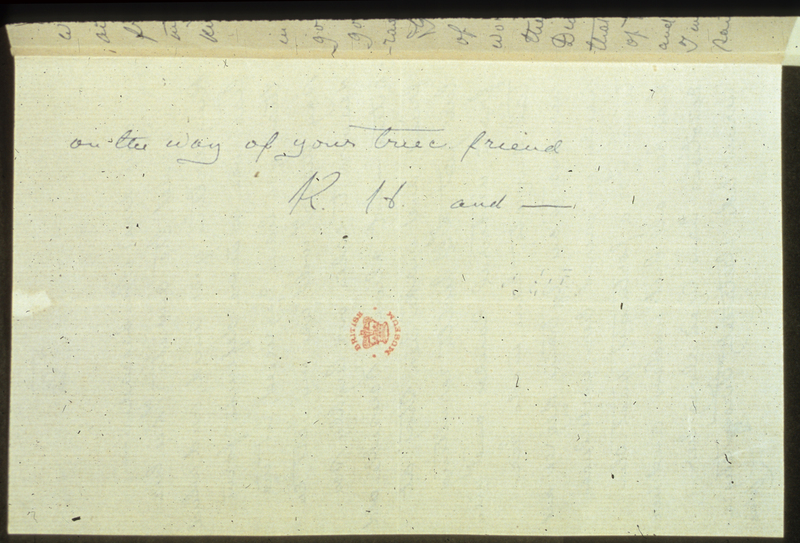 H. S. Olcott, "a friend"
This is Letter No. 107 in Barker numbering. In Letter No. 16, Mahatma Koot Hoomi offers reassurance to A. P. Sinnett that he is trying to calm down the agitated Helena Blavatsky. See below for Context and background. Old friend refers to H. P. Blavatsky. "...our friends in Europe, etc." Mr. Sinnett was about to depart for London in March 1881, where he would publish his first book The Occult World. Galles, now spelled Galle, is a city and district in southwest Ceylon (now Sri Lanka). on the way of your true friend. Djual Khool, Koot Hoomi's chela, may have been implied in the signature line. See Joy Mills' commentary. A. P. Sinnett received this letter while he was at Galle, Ceylon, on his way back to England for a holiday. It had been arranged that I should return alone to Ceylon and begin the collection of a National Education Fund to promote the education of Buddhist boys and girls. The scheme had - as H. P. B. assured me - the full approbation of the Mahatmas, and her own concurrence had been strongly expressed. Thereupon I had written to Ceylon and made all necessary arrangements with our friends. But, on 11th February, as it seems, H. P. B. fell out with me because I would not cancel the engagement and stop and help her on the Theosophist. Of course, I flatly refused to do anything of the kind, and as the natural consequence she fell into a white rage with me. She shut herself up in her room a whole week, refusing to see me, but sending me formal notes of one sort or another, among them one in which she notified me that the Lodge [White Brotherhood, or Mahatmas] would have nothing more to do with the Society or myself, and I might go to Timbuctoo if I liked. I simply said that my tour having been fully approved of by the Lodge, I should carry it through, even though I never saw the face of a Master again; that I did not believe them to be such vacillating and whimsical creatures; if they were, I preferred to work on without them. Her ill-temp burnt itself out at last. According to Margaret Conger's chronology, this is 22nd letter in sequence, whereas Mary K. Neff considered it to be number 14. Fine, carefully formed lettering in dark blue ink, on a single sheet of rippled white paper. This letter is presented as number 107 in the first three editions of The Mahatma Letters to A. P. Sinnett transcribed and compiled by A. T. Barker. Although very brief, Letter 16 is interesting for several reasons. First, it was received by Sinnett in Ceylon when he and his family were en route to England; however its transmittal was through Olcott rather than through HPB. The transmittal note accompanying the letter is found in LBS (page 363), with Sinnett's own record as to the day and time it was received. 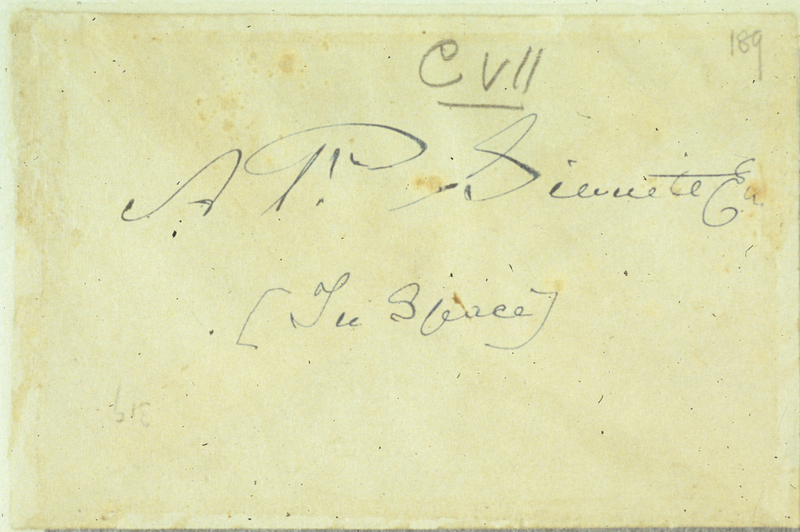 That note reads: "Dear O., Forward this immediately to A. P. Sinnett, and do not breathe a word of it to HPB. Let her alone, and do not go near her for a few days. The storm will subside. K.H.L.S." 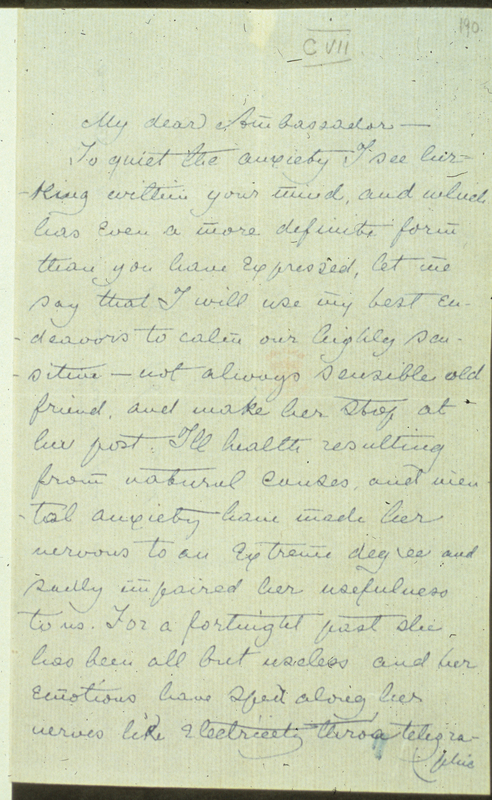 The opening paragraph of Letter 16 refers to HPB's condition at the time and indicates why the communication is sent via Olcott. 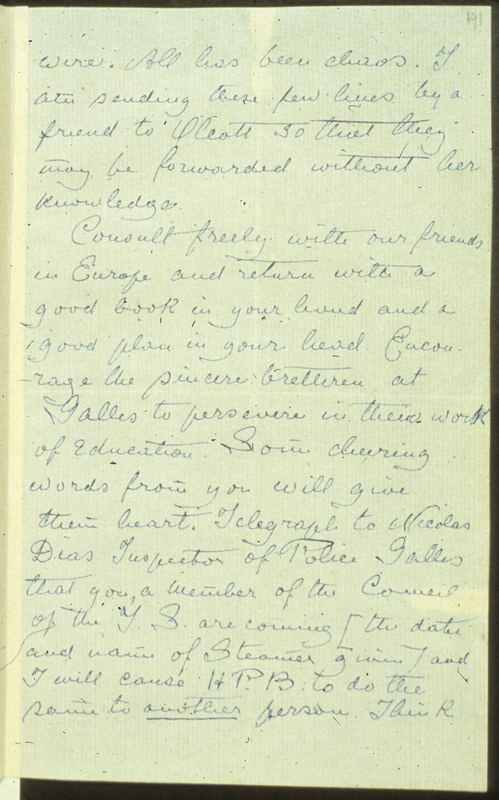 KH was apparently eager to communicate with Sinnett during his stopover in Ceylon so he could urge Sinnett to encourage the Buddhist education for which Olcott himself was also to travel there. KH even tells Sinnett the person he is to contact (via telegraph) in Galle. The identity of "another person," whom the Mahatma will have HPB contact, is unclear - perhaps a chela resident in Ceylon or even a Brother known to KH. The signature may return to Djual Khul, to the one mentioned as "another person" or to the chela who transmitted the letter to Olcott. She goes on to identify the "friends in Europe" mentioned on page 1 as Lord Lindsay, Dr. Wyld, and members of the London Society. ↑ Henry Steel Olcott, Old Diary Leaves, Second Series, 1878-83 (Adyar, Madras, India: Theosophical Publishing House, 1974), 293-294. ↑ George E. Linton and Virginia Hanson, eds., Readers Guide to The Mahatma Letters to A. P. Sinnett (Adyar, Chennai, India: Theosophical Publishing House, 1972), 57. ↑ Joy Mills, Reflections on an Ageless Wisdom, (Wheaton, IL: Theosophical Publishing House, 2010), 52. This page was last edited on 17 December 2018, at 20:36.